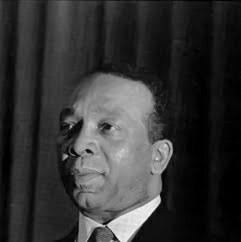 Walter Edward Washington, was an American politician. He was chief executive of Washington, D.C. from 1967 to 1979, serving as the first and only Mayor-Commissioner from 1967 to 1974 and as the first home-rule mayor of the District of Columbia from 1974 to 1979. He was the last presidentially-appointed mayor of Washington.